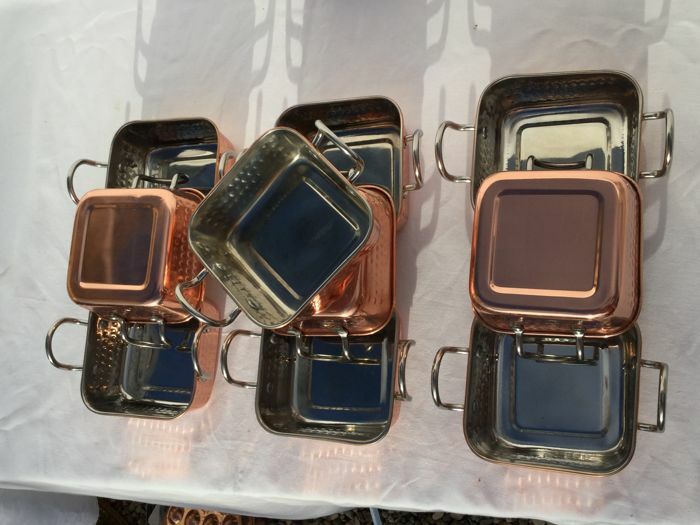 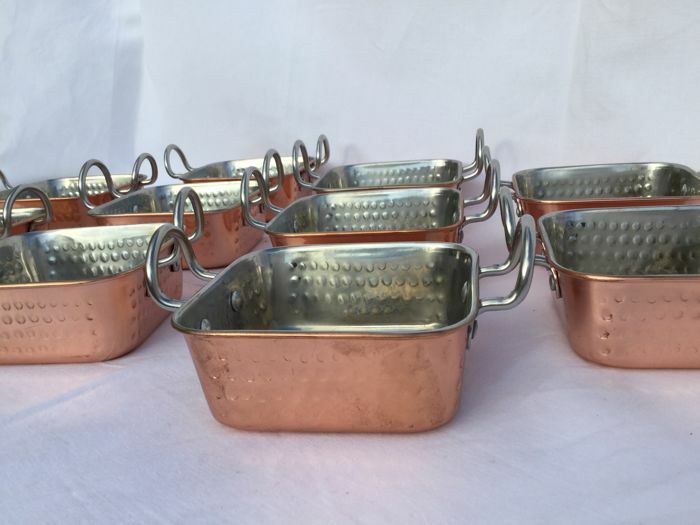 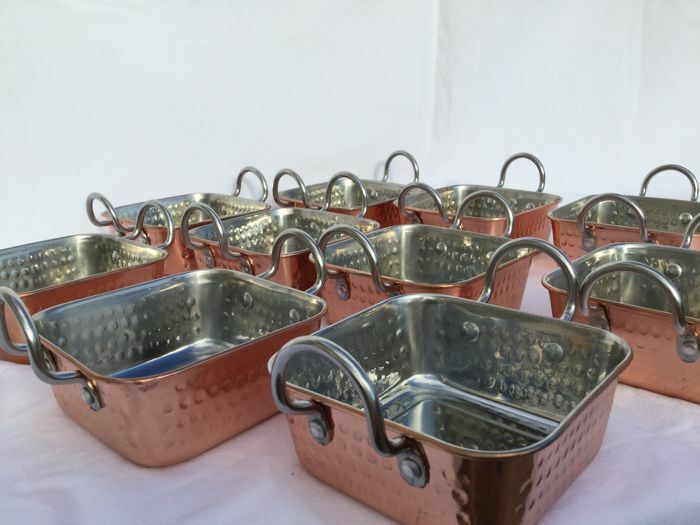 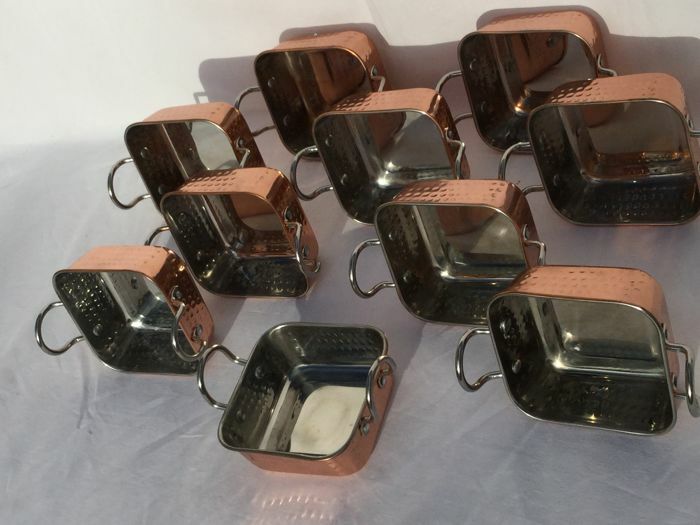 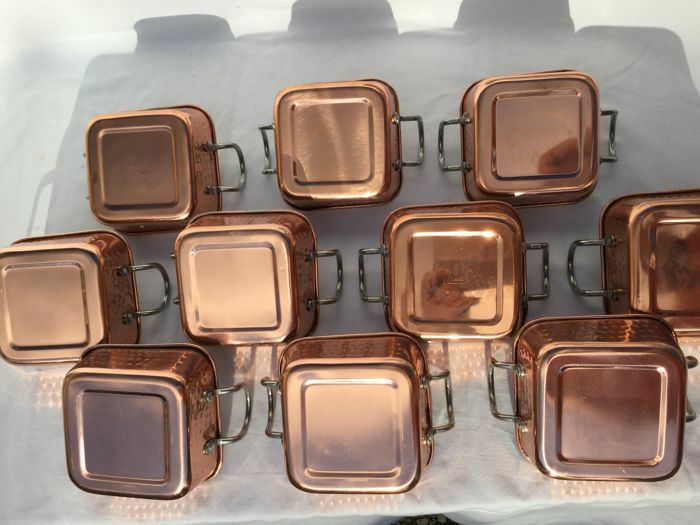 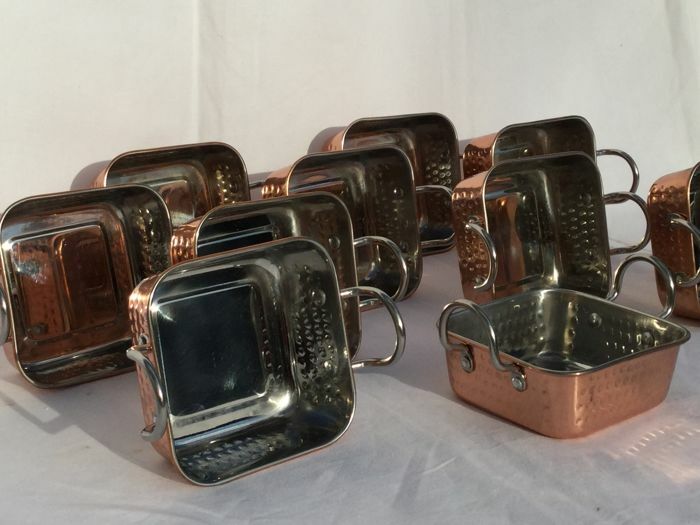 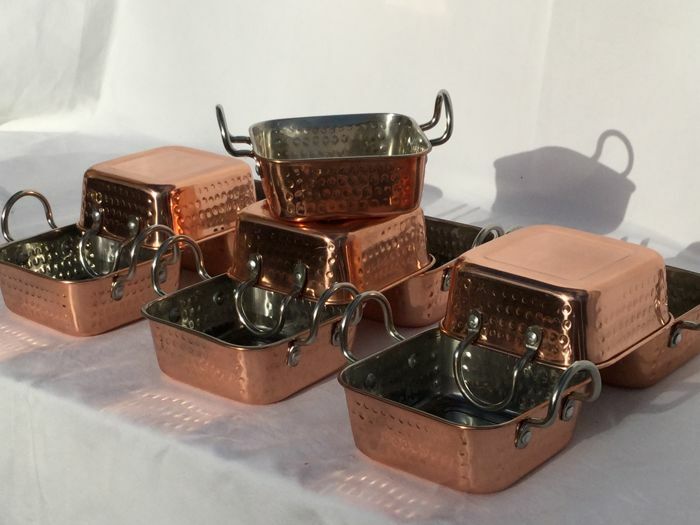 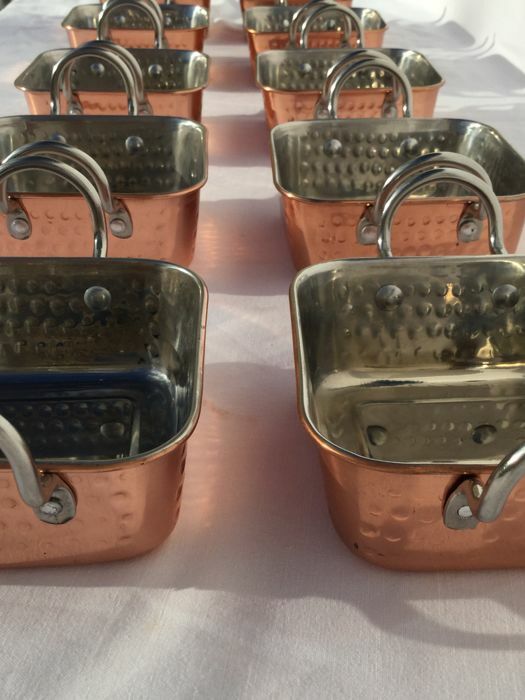 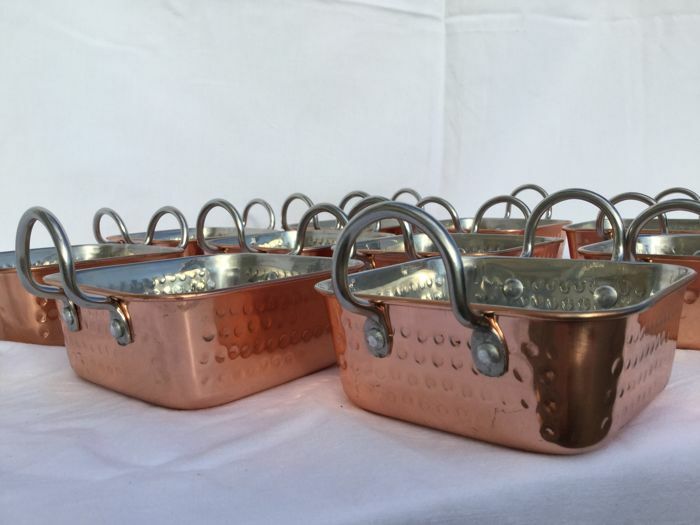 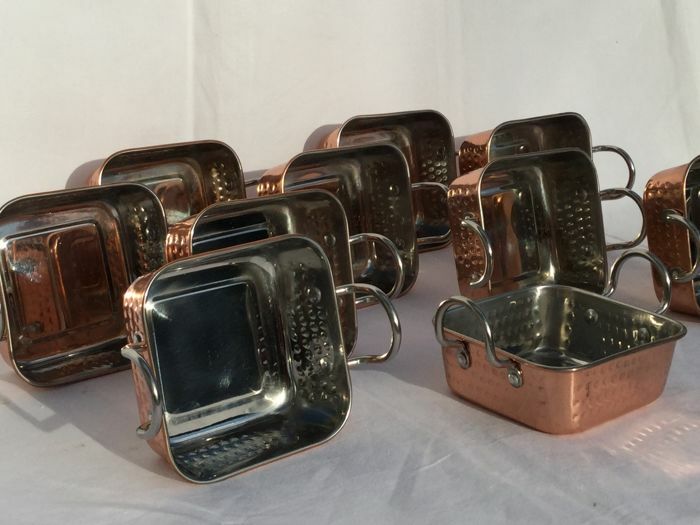 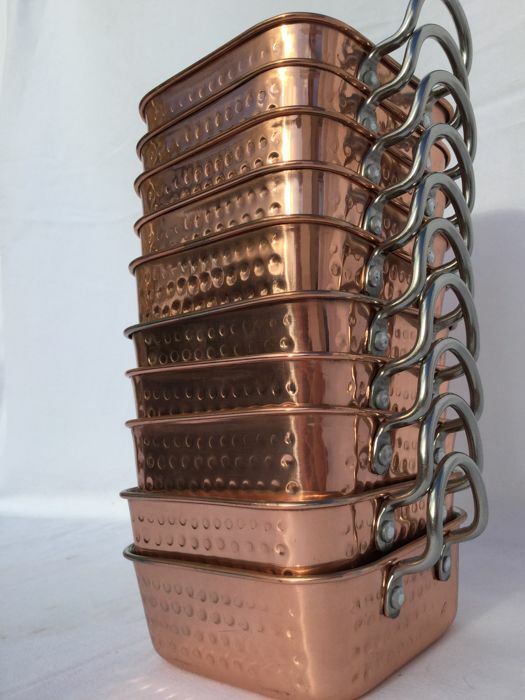 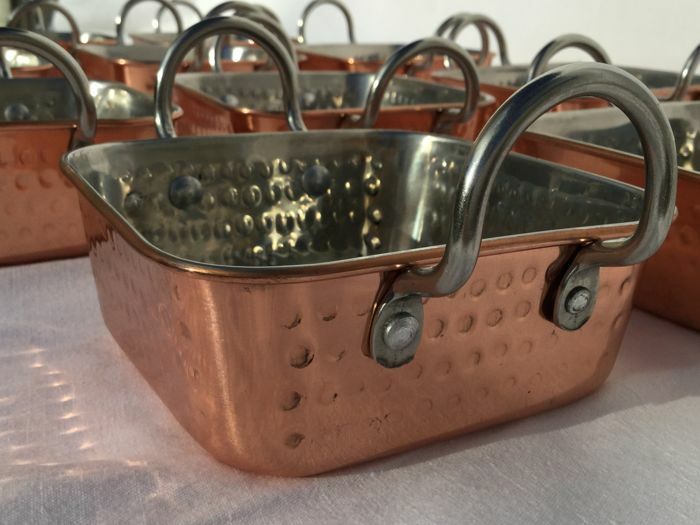 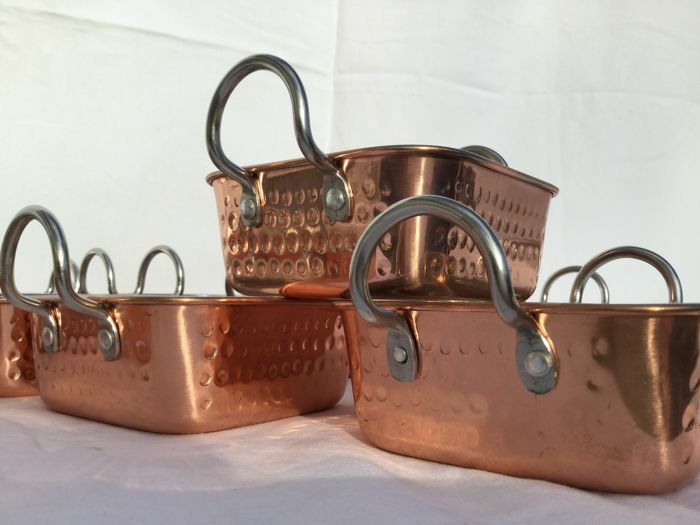 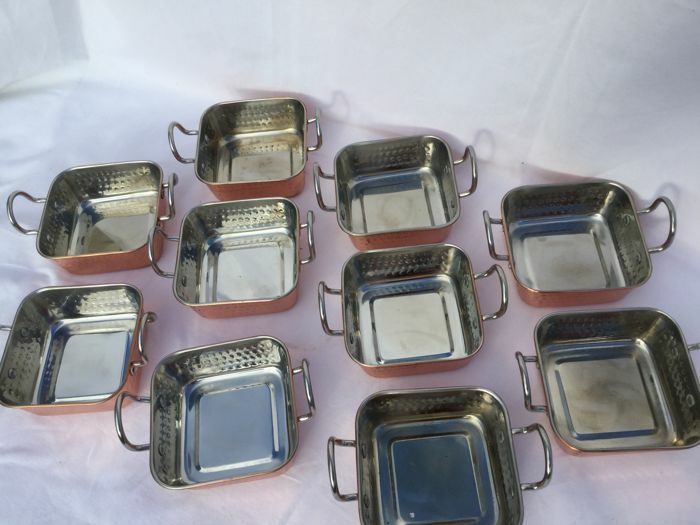 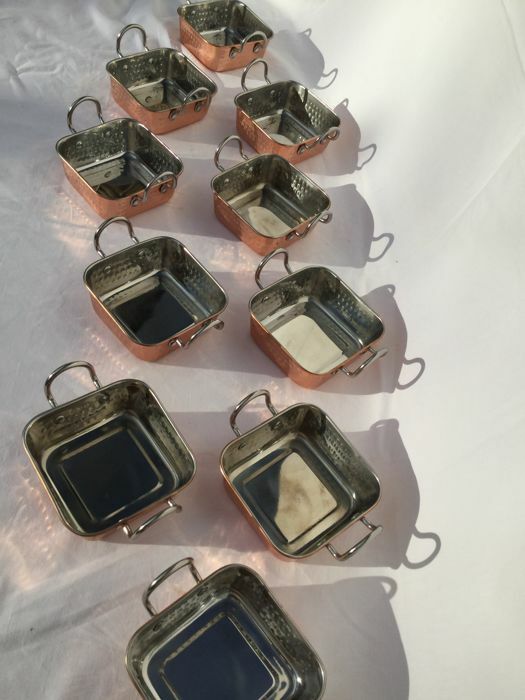 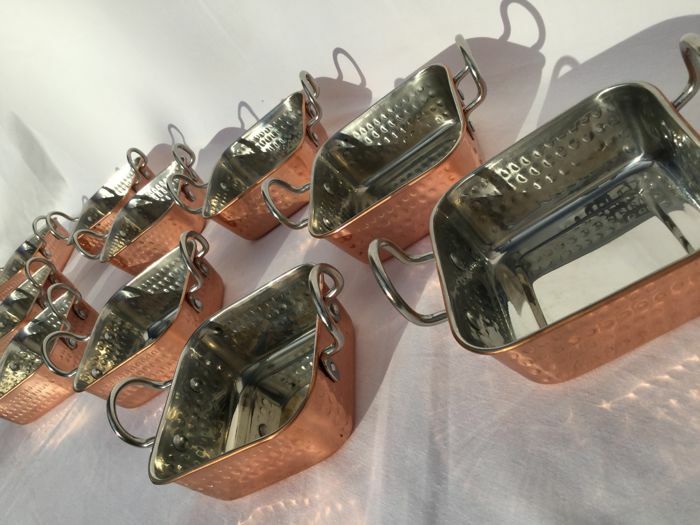 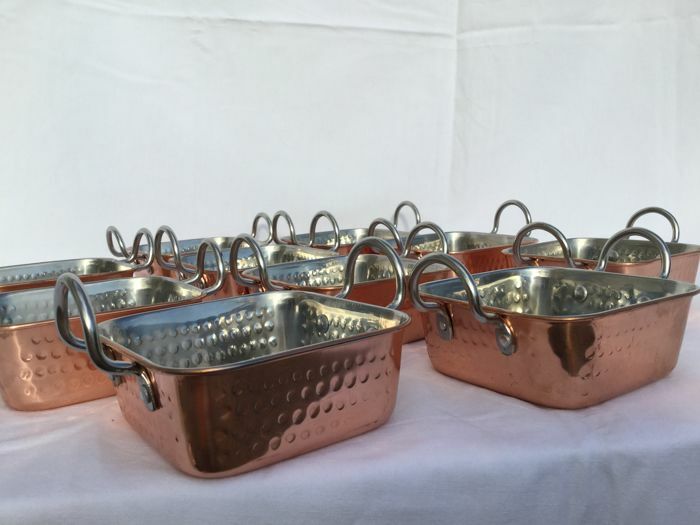 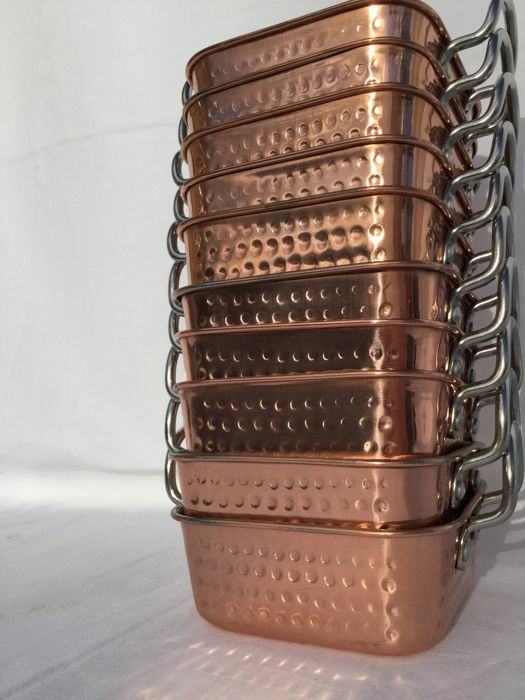 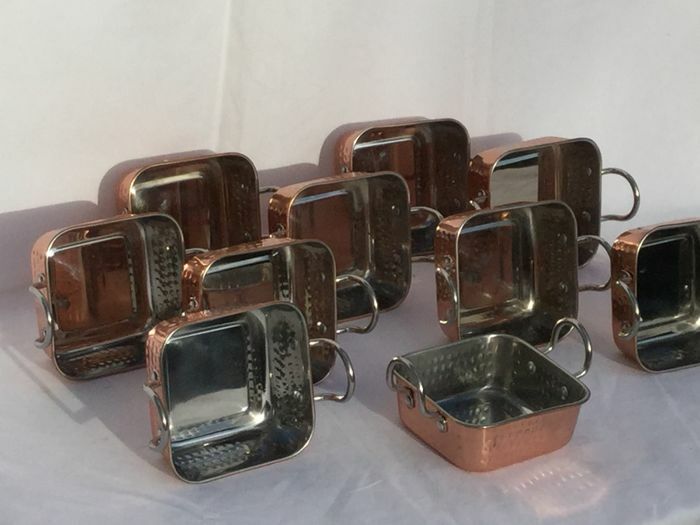 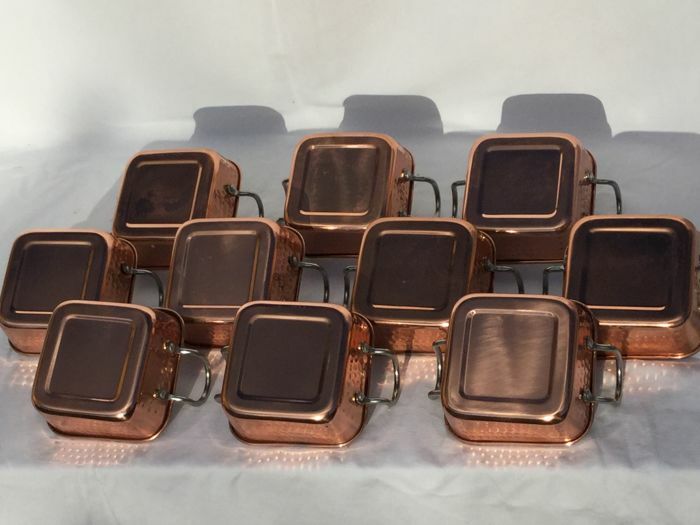 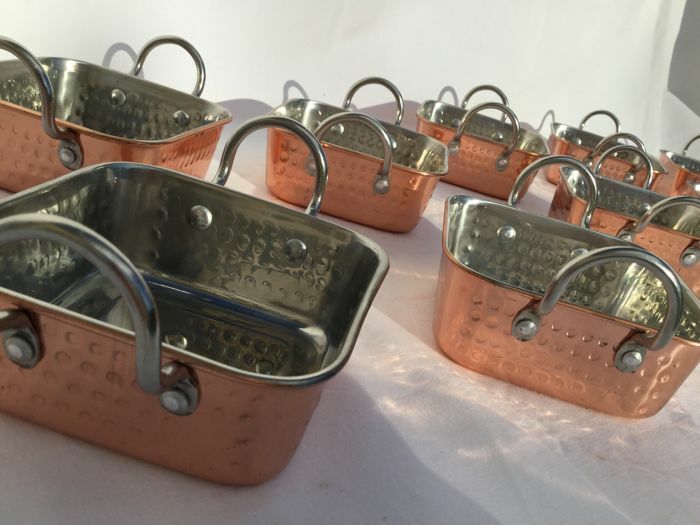 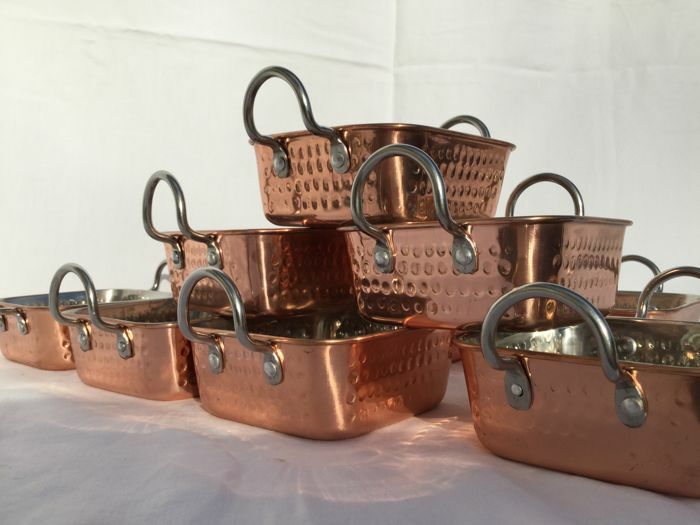 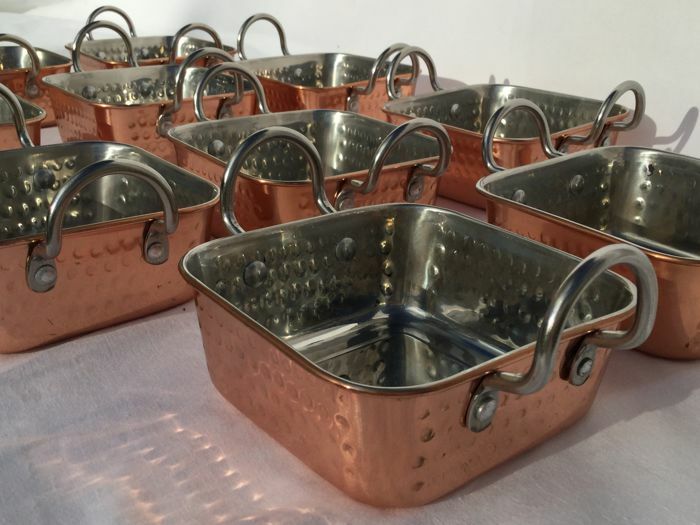 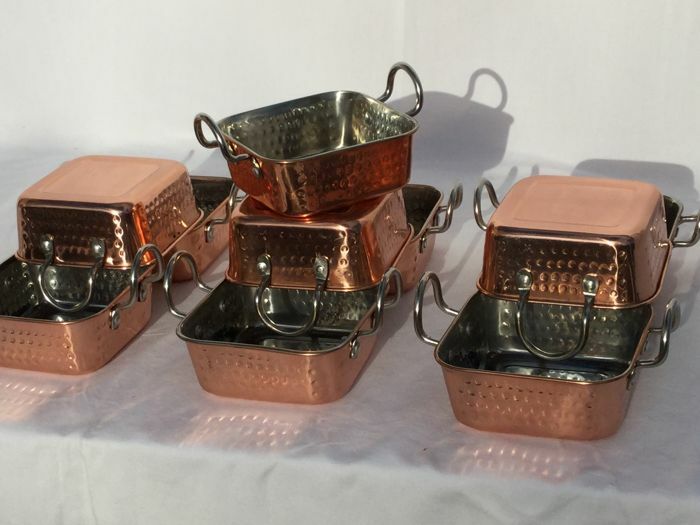 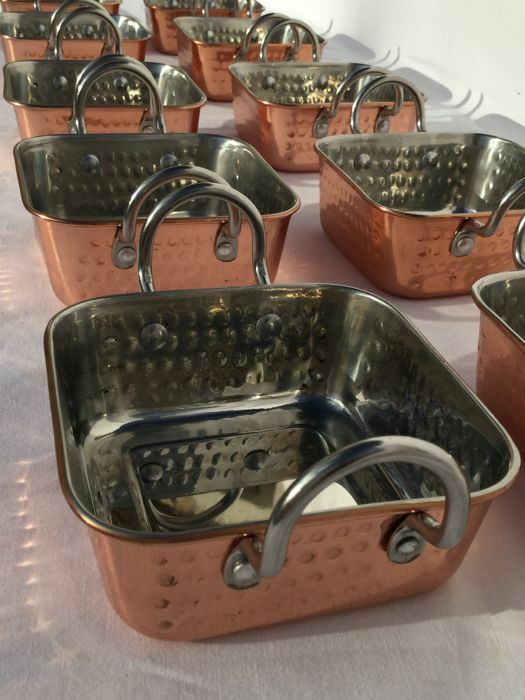 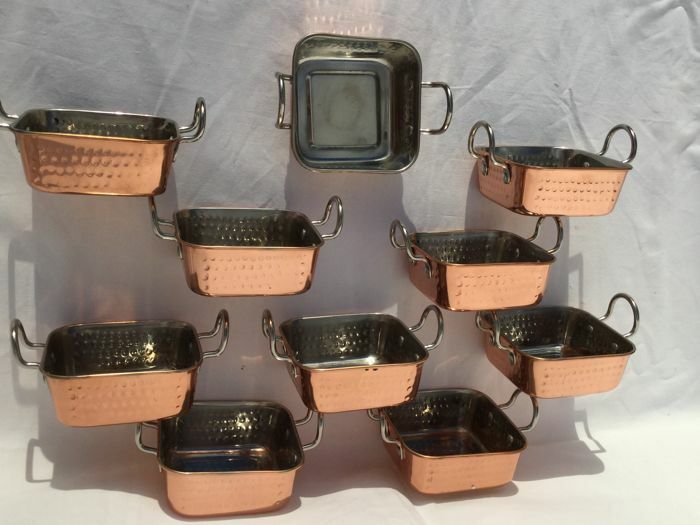 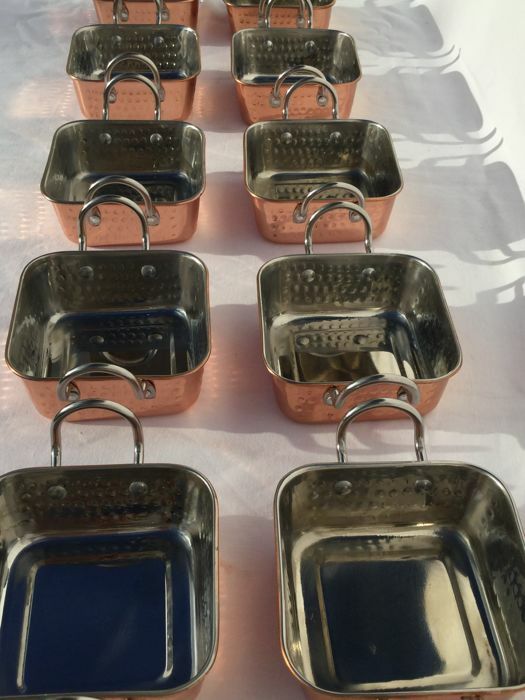 Beautiful lot of ten hammered red copper ovenproof dishes. 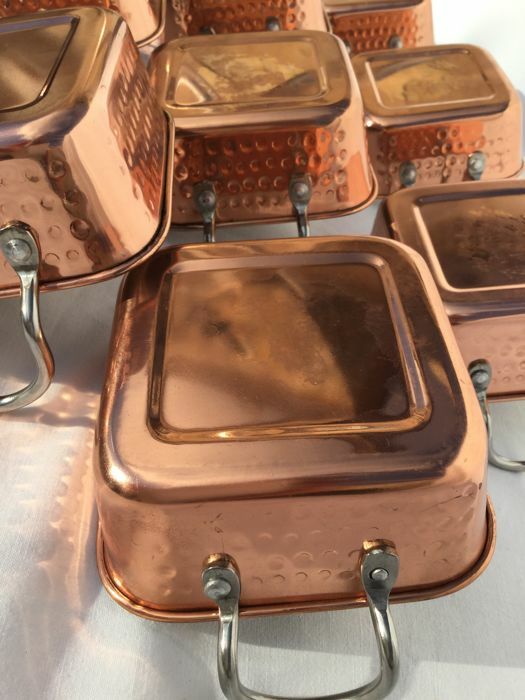 Very fine and beautiful for presentation on your host's table! 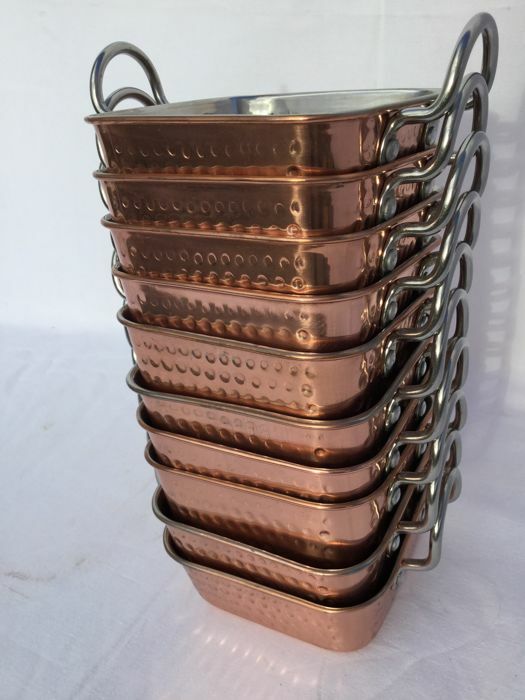 Red copper is most ideal for preparing delicious hot dishes. 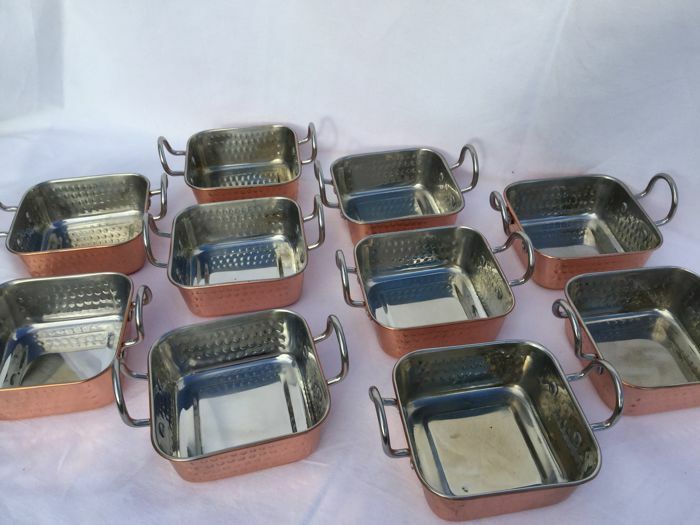 These here are both ideal for making hot dishes, desserts, fish dishes, etc.. 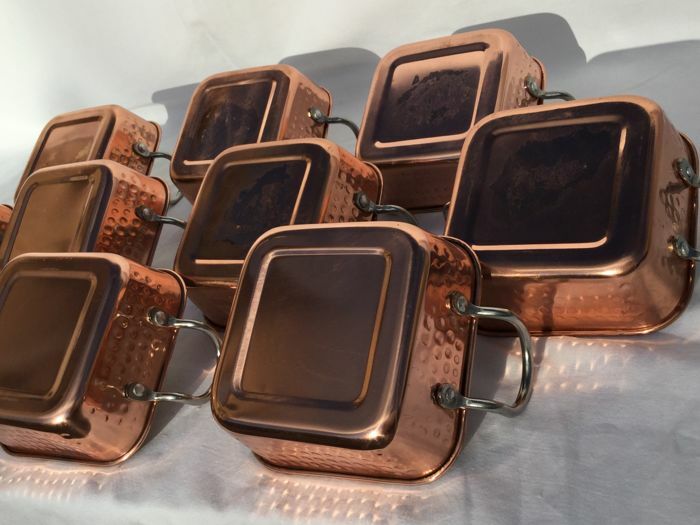 Carefully packaged, shipped registered and insured by post. 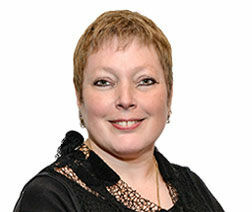 Please also take a look at my other offered articles.